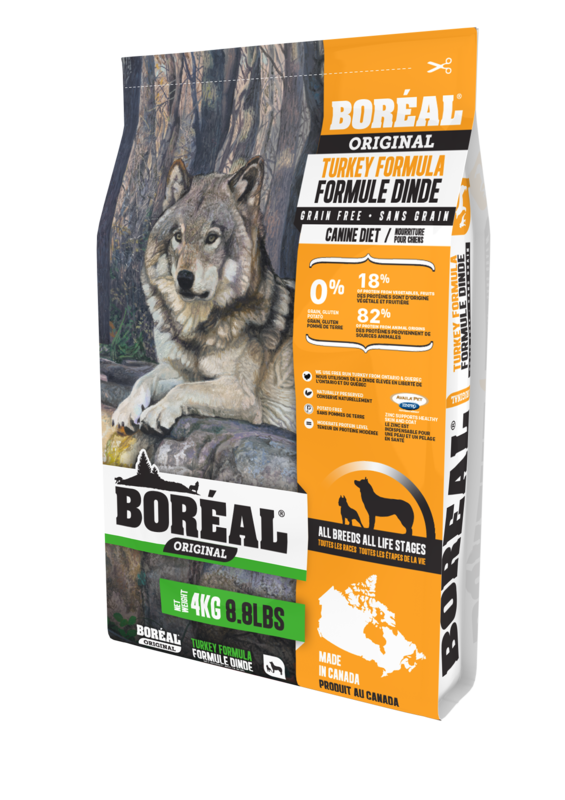 Our Boréal Original Turkey diet is a grain free dog food using turkey as a single source novel protein. Our Original Turkey uses fresh meat and meat meal as a protein source. This is an everyday diet, which can be used to help keep weight off your dog and additionally can be used as a hypoallergenic formula. Using a core of beans and peas to replace the grains found in many dog foods we also add in a herbal pack including blueberries and cranberries which improves the taste of the food as well add antioxidants with all their health benefits. 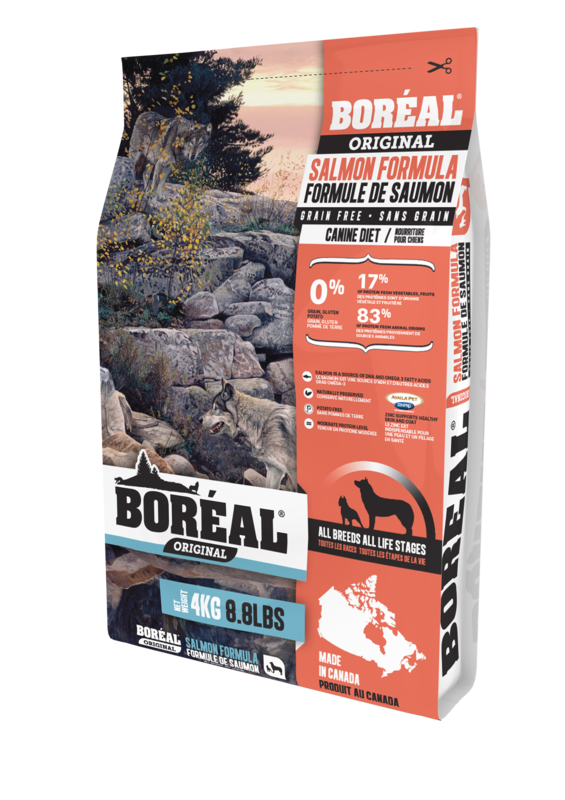 Our Boréal Dog Foods also contain Availa®Zn organic zinc. Availa®Zn is easily absorbed and is many times more available to a dog than other zinc sources. Zinc is essential for healthy skin & coat. 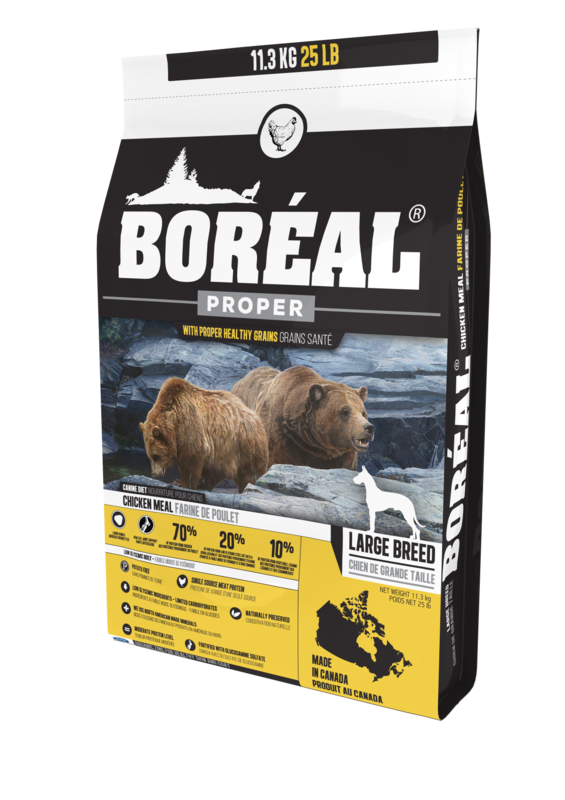 Bags of 25 lb. (11.3 kg) and 8.8lb. (4 kg).